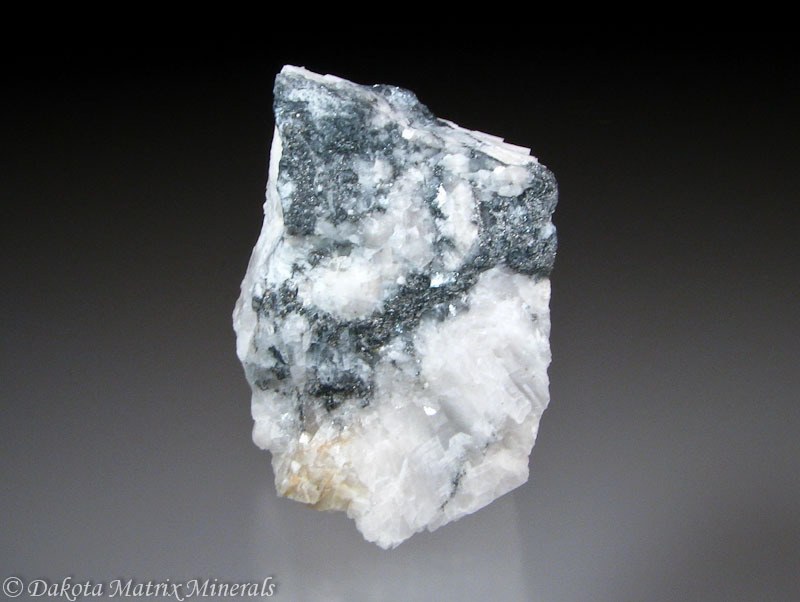 I was really surprised to come across the Erlichmanite for sale – I bought it instantly. 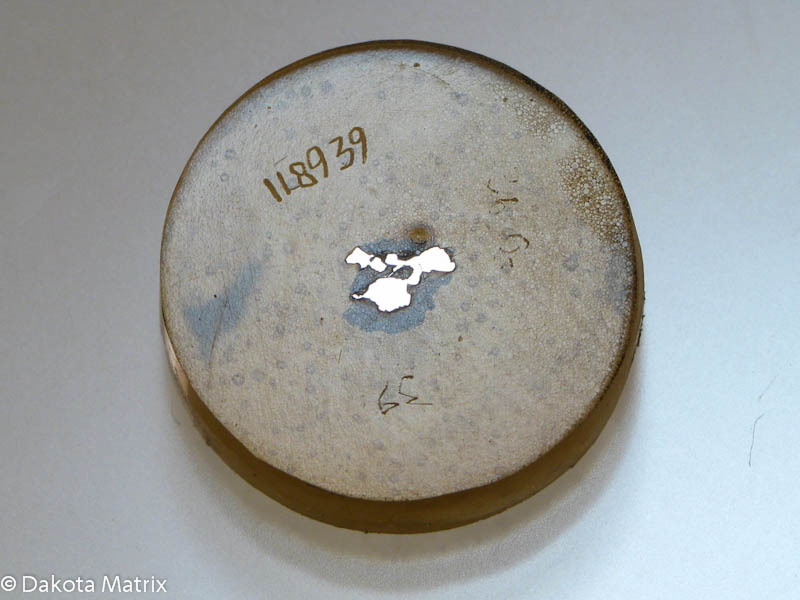 I never thought I’d ever get a hold of the only sulphide of Osmium, and this specimen is really tiny. In my Osmium Suite there are only two applicable species, Osmium (which is essentially an alloy of Iridium and Osmium) and Erlichmanite which is OsS2, something of the Osmium analogue of Pyrite… This specimen, from Goodnews Bay in Alaska, is a cut and polished section of Platinum containing the Erlichmanite, mounted in a disc of epoxy. 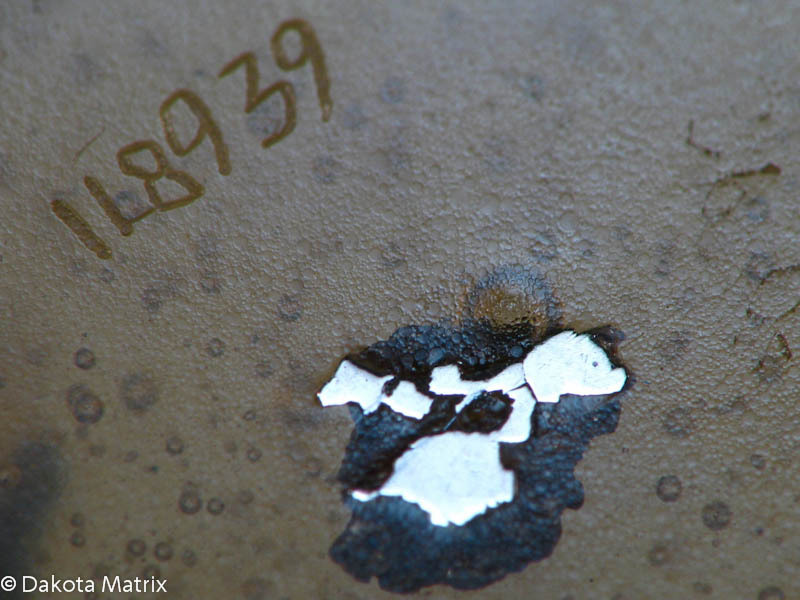 The identification has been confirmed through EDS, energy dispersive spectroscopy. 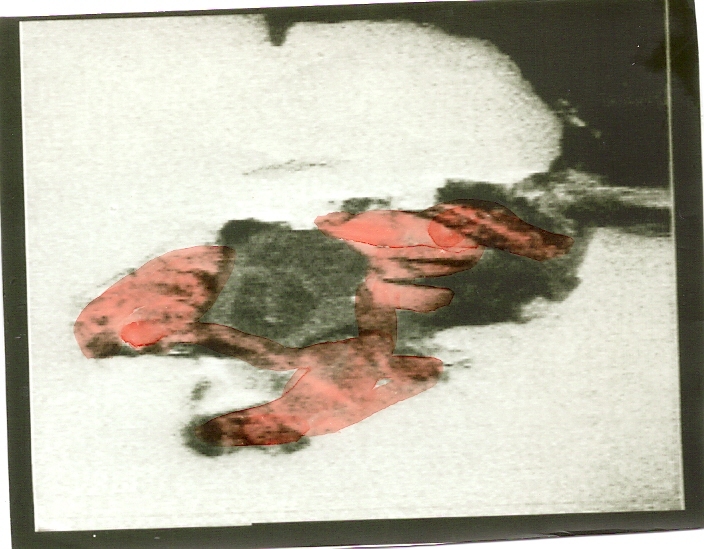 Also included with the specimen are several backscatter images from the EDS showing the Erlichmanite in pink/red. 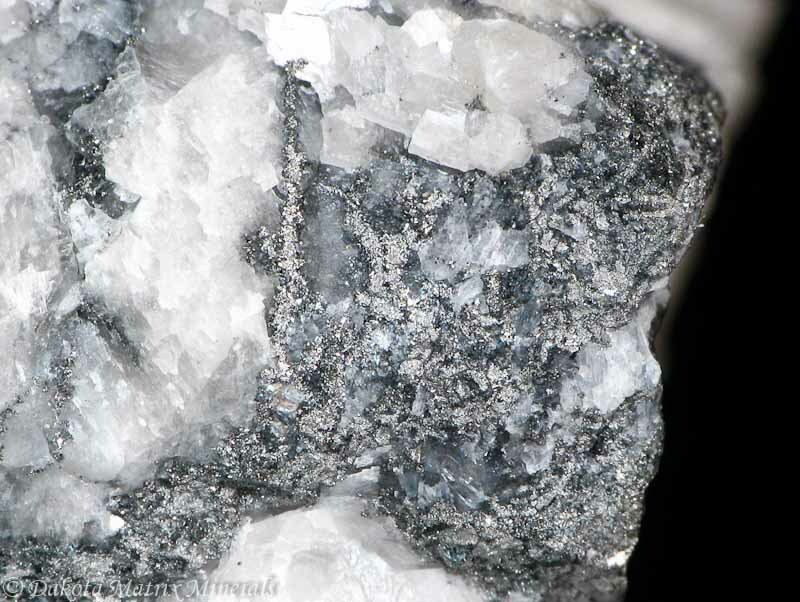 With this addition of Erlichmanite my Osmium Suite is now complete, as I had purchased an example of Osmium earlier this year.